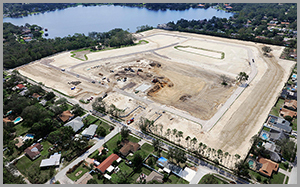 Blue Ox Enterprises, LLC has been providing Central Florida with quality and cost effective site development for both commercial and residential projects since 1991. Our mission is simple: to build projects in a manner which maximizes profit for the customer and the company. 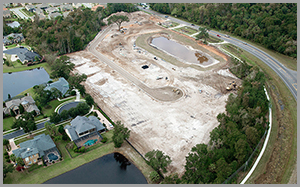 Based in Sanford, FL our company has successfully developed building sites in Orange, Seminole, Volusia and Flagler Counties including Orlando, Sanford, Daytona Beach, Longwood, Lake Mary, Palm Coast, New Smyrna Beach, Winter Garden, Ocoee and many other surrounding cities. Blue Ox Enterprises specializes in overall site development including Land Clearing & Mass Grading, Underground Utilities, Road Construction and more. We are Leaders in Value Engineering, we are fully licensed and insured and we run a Drug Free workplace. 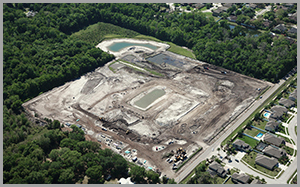 For more information about our company and the site development services that we offer please contact us at 407-339-4800.